Stock up at our PARTY & PANTRY Station! Great for gifts, entertaining or to refill Virginia Diner gift tins. 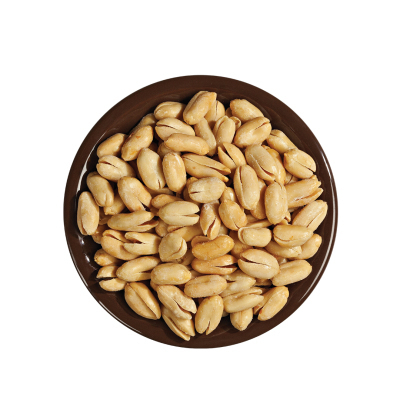 Super Extra Large Salted Virginia Peanuts - blistered and salted to crispy perfection in a 16 oz. bag. Best peanuts around. We have been eating them for years. I enjoyed both the peanuts and the brittle. Both arrived on time and fresh. Thank you. Love these peanuts. Always top quality. Always good service and quality products. We only buy VA Diner peanuts. There is really no comparison to the quality and freshness. We would just like to see some reduced shipping rates along with their specials. I always love your peanuts. They are the best that I have ever had. The VA Diner peanuts are the best!! I always put them out at Christmas time for my customers. They love them too!! Yummy! The best gift ever! VA Diner peanuts are the best from the great Commonwealth of VA. I order these every year for Christmas gifts. I have been purchasing Va diner products over the years and always have been happy with the service and products, top quality. received my order promptly. packed up well and no problems with it or what I ordered. I only buy from Virginia Diner. 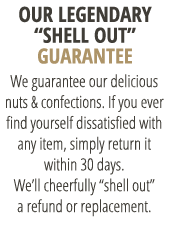 Their nuts are always fresh and great tasting. BEST peanuts I have EVER tasted! Crunchy and delicious! I will try more products in the future, and plan on giving these as gifts! I love Virginia Diner peanuts and share them with as many people as I can. They love them also because they're crisp, lightly salted and not oily. I will always order all my peanuts from here. All of the Va Diner products are wonderful! The service is great!! I've bought the salted peanuts for years- as gifts to friends and co-workers and especially for myself. I always have a tin on hand. These peanuts are fresh and crunchy. The best. I love these peanuts. Everyone, absolutely everyone, who tastes them think they are the best they've ever tasted. I have been purchasing Virginia Peanuts for about twelve years. They are the best I have ever eaten. They keep fresh in the cans and never get stale. Best nuts EVER!!!!! Purchase every year for gifts!!! The salted peanuts are great! I have shared them with a friend and we are looking forward to our next order. Great service. Peanuts outstanding as usual. Reminds me of days gone growing up on a peanut farm outside Holland, Va.